Light, fluffy, comfort fiction. Happily ever after. We all need a bit of that every once in a while. I've been reading Steven James books so much lately I needed a change of pace, and Shelley Shepard Gray offered a kind of respite with her Chicago Worlds Fair Series. There are two other books that I know of in the series, but they don't necessarily follow each other in a certain order - linked, but not inseparable - Secrets of Sloane House and Whispers in the Reading Room. I read Deception on Sable Hill without any confusion as to who the characters were or what was happening in the story, butI believe it's the second installment in the series. Gray's selling points in this book are the historical aspects of her fiction, the structure of her plot, and the varied cast of her characters. Not so varied that you lose track of who each person is, and in-depth enough that you know their different tastes and dislikes, and personality traits. I like to get to know the characters, and sometimes authors brush over who they are as people in favour of a riveting, fast-moving plot. In that case, there's not as much to keep you emotionally invested. I've enjoyed the way Shelley Gray weaves the two together. She brings high-end and downtrodden societies into a bit of a head-to-head, with a princess-pauper-policemen scenario that I find light and amusing, and a relaxing distraction. Lieutenant Sean Ryan is a hard-working policeman of Irish decent, who found a way for himself outside of the limits of his less-than well-to-do family. Eloisa Carstairs is a well-known, upstanding young lady two years out in society from her debut, reputed to be the richest, prettiest girl around. But scarred by a secret. The story centers around their meeting as a result of a series of assaults on young women from Eloisa's social circles, by someone they're calling the "Society Slasher". A hint of mystery, a bit of drama, more than enough romance - Gray knows how to write for her audience. As far as the cast of characters goes, among others, we have Sean's partner is a wealthy gentleman, good at his job, who gets entangled with Sean's younger sister, Katie. Lets call it a little excitement on the side. I'd almost have to say I enjoyed witnessing their relationship more than Sean and Eloisa's. Fancy that. For more information on Deception on Sable Hill by Shelley Shepard Gray, visit our website here. I picked up this book fully expecting to be disappointed. I admit that freely. And I also admit, even more freely, that I was pleasantly surprised by the exact opposite of disappointment. This is not another one of those list books that pretends to answer all of life's questions in a less-than-two-digit-step-process. Paula Hendricks writes with feeling, and wisdom, and a great amount of love. This book is not for everybody. It's written for teens - I would say 13+, but it depends on the person - but I have a feeling the older teen would appreciate it all the more, even if it is written for a younger audience. And definitely dependent on the place you're at in life, emotionally and in terms of maturity. But for me, it was encouraging. And empowering. And demonstrative of how a young woman might draw closer to God. If you ever need confirmation that being single, in a world permeated by the lust for companionship and intimacy, can be entirely beneficial and fulfilling thing, this is an excellent conduit of that sentiment. 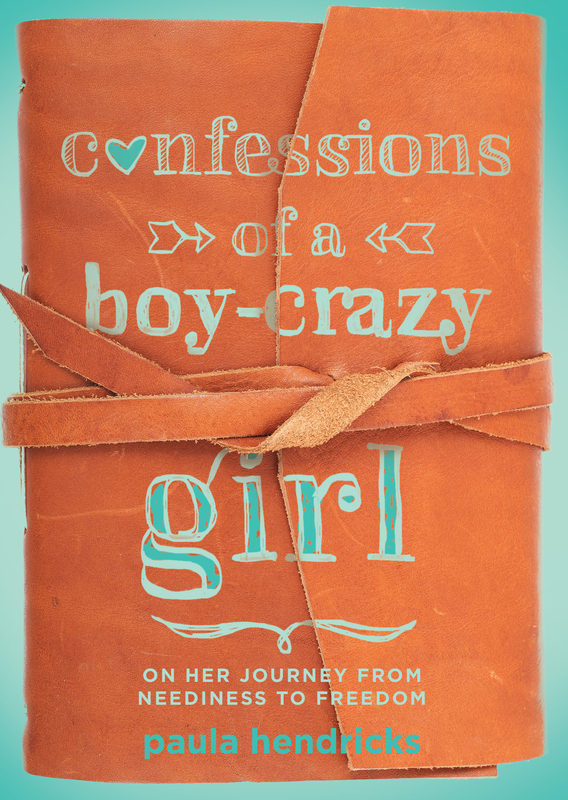 For more information on Confessions of a Boy-Crazy Girl by Paula Hendricks, please visit our website here. Previously, I reviewed the first book of Steven James' Jevin Banks Series, Placebo. 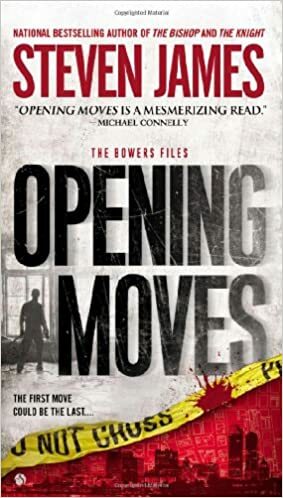 I made mention to another series of his, The Patrick Bowers Files. I had read the first book, The Pawn, quite some time ago and I remember being gripped by it, so I decided to pull it from the shelf and read it again. It was better than I remembered. 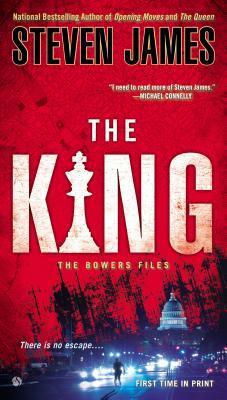 His writing is raw, gripping, and thrilling, and I read the first two books, The Pawn and The Rook, in two days. He follows up with The Knight, The Bishop, The Queen, and then The King. 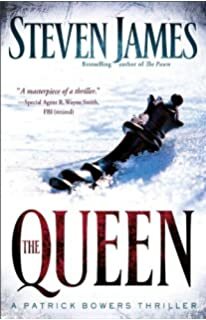 Opening Moves was written between The Queen and The King, as a prequel to the series, and I'm reading it now. Engrossed, of course. It seems to be the darkest of them all, but of course, just as gripping. If not more so. Checkmate fits into the series as well. I'm not sure how it all pieces together, yet, but I am anxiously awaiting the twists I'm sure to encounter. Patrick Bowers is a geographical profiler, meaning he studies the where and the when of crimes that are committed, rather than the how and the why. In the series, the beginning at least, his character dismisses profiling and uncovering motive as less important than his own area of study. But he works closely with a criminal profiler and I believe he's beginning to see the value in her field. This tells me that James has put serious work into character development, and I am excited to see it unfold. It also provides room for comedic relief amidst the more gruesome aspects of the subject matter - I wouldn't call his writing gory, but it is definitely on a more violent and realistic bend, not for those more sensitive to the darkness of the world. The Knight, the third book in the series, definitely takes the series on a turn for the darker. Patrick also has a stepdaughter, Tessa, very punk-goth and angsty teen-like. Their relationship starts out...awful. In the first book, they can hardly get two words in without arguing. But as their characters grow, so does their relationship, and as hard as it sounds, the trauma and stress that they undergo together as a result of notorious criminals is a bonding experience for both of them. For all of Tessa's teenage angst, she's a terrifically likable character, and highly intelligent, resulting in her comically outwitting "Dr. Patrick Bowers, PhD". With the characters that Steven James has created, he has reams of material - ample for a 6+ numbered saga, and more than enough to keep readers tearing through book after book. Steven James is one for the thrill-seekers, feverish readers, crime solvers, and chill chasers. He makes it well worth the white-knuckled need to know more. For more information on Steven James' series, visit our website here. Erin Healy has written two books in collaboration with Ted Dekker: Kiss and Burn. Both intense and thrilling and all things Dekker that I love and know. I had never read any of Healy's books before, but her latest release, Hiding Places, came into the store shortly after I read Burn again. Naturally, I couldn't resist the pull. And true to her best-selling reputation, Healy did not disappoint. 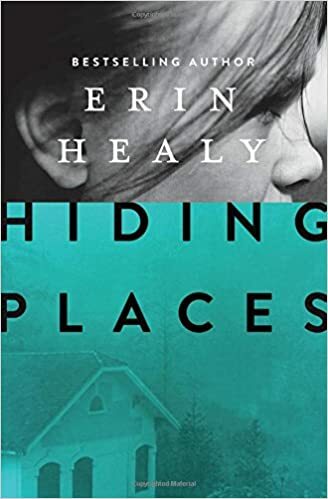 Hiding Places follows the lives of a wider cast of characters, but the one that Healy gives the most attention is an eleven year old girl named Kate. She has two half-sisters and lives in a hotel lodge run by her family. And for the most part, she passes by unnoticed. She's a small, forgotten part of a quiet life, playing spy and secret agent to the indulgences of her grandfather. The lodge has reams of hiding places and secret passageways, as a result of World War II, when the owners - Kate's great-great-grandparents - were trying to keep Japanese immigrants from being sent to internment camps. Thankfully, they never had to use any of the secret nooks and passageways for their intended purposes, but in the effort to expand her capabilities as a spy, Kate slips in and out of them more often than anywhere else. Kate is not a sassy character, per se, but she does have a mind all of her own, which comes with being left to fend for herself when she's not in school, because the rest of her family is working. She bonds the most with her grandfather, Grandy, and they like to leave little hidden gifts for each other every once in a while, or she'll watch him while he works on projects in his shop. Her life of espionage reaches new heights when a young man by the name of Charlie Fuse is injured in an encounter on a motorcycle with a mountain cat. While he's running from a street gang who think he's responsible for a murder. This Charlie and the man chasing him, Fox, are two of the other perspectives that Healy writes from, making for a twisting, spiraling, and thrilling story that nearly stopped my heart in more than a few places. She knows how to leave you hanging and keep you reading, and guessing, to the very end of the novel. The characters themselves plainly beg you to read on and discover how it all has to end. Yet another novel that I kept in reach of my fingertips until I read to the very end. For more information on Hiding Places by Erin Healy, visit our website here.